When I broke through the ice and water bubbled up, I felt like I struck oil. 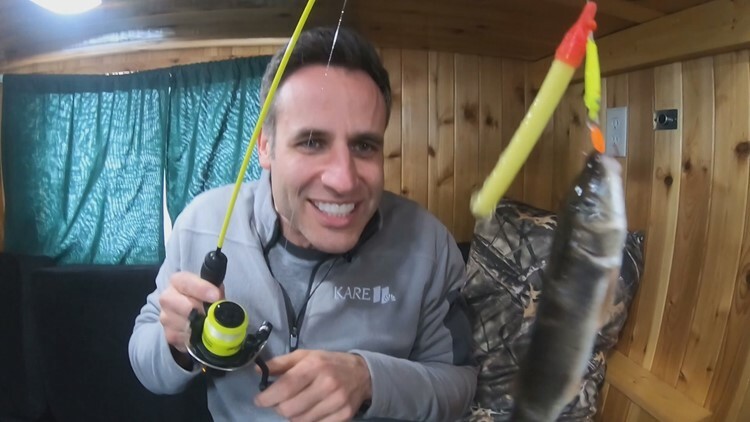 As we continue to discover the winter wonders of Minnesota, it was time to brave the frigid temperatures and wicked wind on Lake Owasso for some ice fishing. The morning started when Ash Nichols meets us at the landing. We pack our gear into the pickup, and it’s a bit of a surprise I’m not concerned at all that we’re driving a 5-thousand-pound vehicle across ice. It was a quick ride to the middle of the lake and the rest of the Nichols family was already prepping for our day. Ryan Nichols had the auger out and their four-year-old son Lake was holding a bait bag. 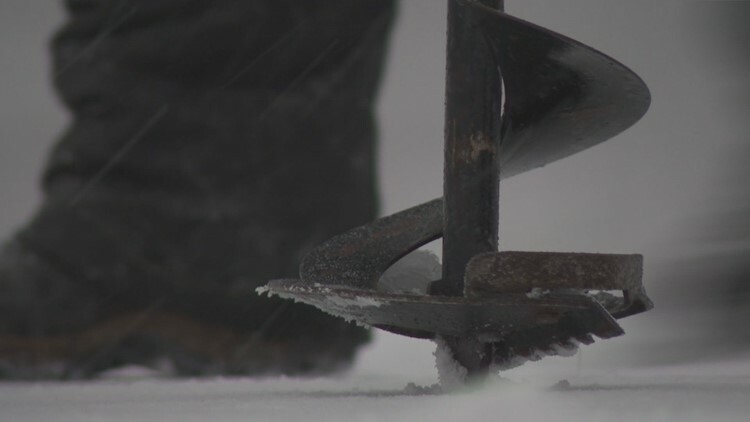 Closeup of auger on ice. Boring through 18 inches of ice was a little more labor intensive than imagined, but when I broke through and water bubbled up I felt like I struck oil. We drilled three holes, baited a couple of lines and set tip-ups hoping we’d snag a larger fish or two. Then it was time to get out of the elements and thaw out our hands. Kris Laudien sits on a bench inside the Nichols family ice house. 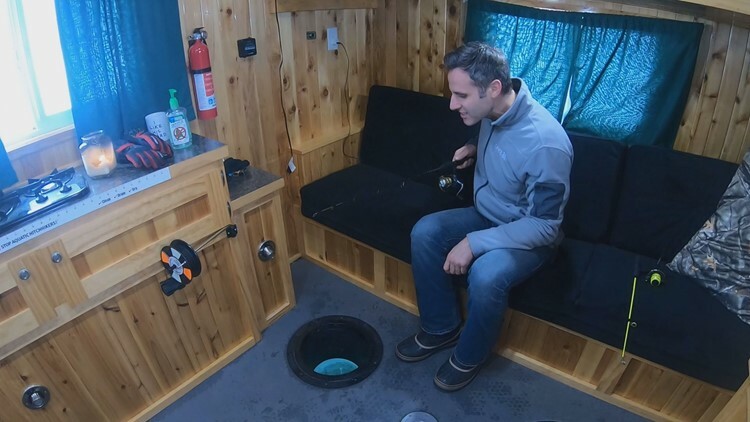 The fish aren’t always biting, so I learn small talk and the occasional refreshment are a staple of ice fishing life. Ash steps outside and says, “There’s always a place to keep your beer cold.” Yeah, almost too cold. No matter what I did, I couldn’t entice a fish to bite. I guess the ones swimming around my line just weren’t hungry. The only thing I managed to reel in was the bait. Kris Laudien holding bait while ice fishing on Lake Owasso.